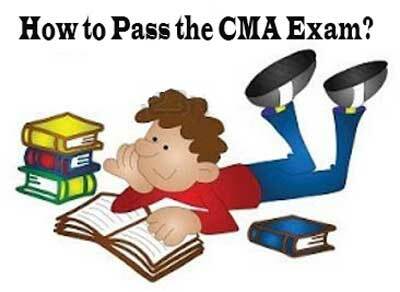 We know many of people thinking about How to Pass the CMA Exam? Generally, you can prepare for the CMA exam in many ways. 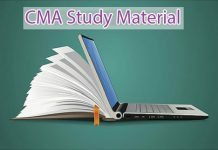 Our students ease we updated the Some preparation tips and study guide for ICWAI/CMA Exam 2017. 2 How long to study for CMA? 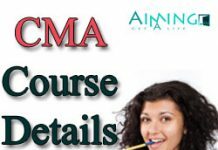 The course Institute of Cost & Works Accountants (ICWA) has recently modified or renamed as Institute of Cost & Management Accountants (CMA) which is governed by Cost & Management Accountancy in India and there is no differences in both the courses. The professionals identified and changed the name of ICWAI to CMA where ICWA stands for Institute of Cost & Work Accountants whereas CMA stands for Cost & Management Accounting. The Cost & Management Accountant Course deals with the strategic management decisions with respect to economic activities of an organization. This field provides satisfaction to the candidates in providing good career opportunities for successful candidates in the form of receiving good remuneration. The Cost & Management Accounting must have knowledge in cost & financial management to ensure the balance between expenditures & available resources. ICWA is a job assured course that secures immediate career towards market tendencies whereas CMA course is a profession that have a good social status and is expected to collect, assimilate, analyze and collate financial information from all areas of an organization. Cost & Management Accountancy or CMA Course comprises of three levels viz. Foundation, Inter, and Final. 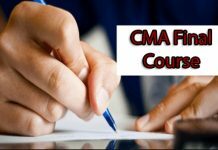 Foundation is the primary level of CMA, and candidates who are qualified in this level are promoted to Inter, and the candidates who are qualified in Inter are promoted to the Final level. How long to study for CMA? The candidate in order to score good in CMA exams should spend more time on preparation. Out of 24 hours, the candidate need to spend 15 hours for preparation most probably. This helps the students to score good in CMA examinations. The duration to complete CMA foundation is 6 months i.e. the students should complete all subjects in first attempt in this 6 months itself. For Inter, there are two groups and each group consists of four subjects. And for qualifying in this level, it takes 1year or more to complete this level and finally the Final level. The duration of this level is maximum one year unless the candidates can take extra duration i.e. 6months to 1 year to complete the final level. Practice papers are available for each level and the candidates who are preparing for exams can go through the prescribed practice papers and practice them. The candidates can practice the previous papers either by downloading or by purchasing the books that consist practice papers with & without solutions. The candidates who are willing to pursue CMA should first put the aim of achieving it at first attempt with a good score. The candidate schedule their priorities in an efficient manner and then manage the study time. Candidates should first know the syllabus of the level they are pursuing which may be either Foundation or Inter or Final. They should divide the subjects and plan to prepare accordingly. The candidate should give priority to the difficult subjects first and then next according to their difficulty. The candidates should cover all subjects one day according to the priority given to the subjects. The candidate should refer to their notes that is prepared during the course period and should keep in mind the process of solving the questions. The candidate should allot timings for each subject and should prepare accordingly. The candidates should go through various previous papers and practice them for good preparation. The candidates can contact to their lecturers if any doubts arises during preparation and can clarify their doubts. This is an important aspect in preparation of exams. The candidate should not get distracted during the preparation of exams and this leads to avoid concentration on exams during preparation. The candidates can refer many practice papers during preparation of exams which helps in attaining good score in the examinations. Time management is very important during preparation of exams. The candidate should timer while practicing the previous papers and this helps in improving the accuracy of the students in solving the problems during examinations. The candidate should attempt all the questions in examinations. Of them, attempting of known questions first helps the candidate to complete the exam paper in less span of time. Study Guide helps the candidate how to prepare for CMA at all levels. During the course period, the candidates should catch or grasp the essence or central idea of the lesson and go through other aspects like, lecturers pointing out some questions or topics per chapter and mention them as the most important or repeated one. The candidates should note them and concentrate on them the most. Not only that, the candidate should go through all previous question papers, note the repeated questions and go through those questions and prepare for the exams. The candidates while preparing for exams, should first mark the complex or difficult topics per each chapter of any subject i.e. either theoretical or problematic, concentrate on them firstly and then concentrate on the remaining topics. This helps the students to score good in CMA.